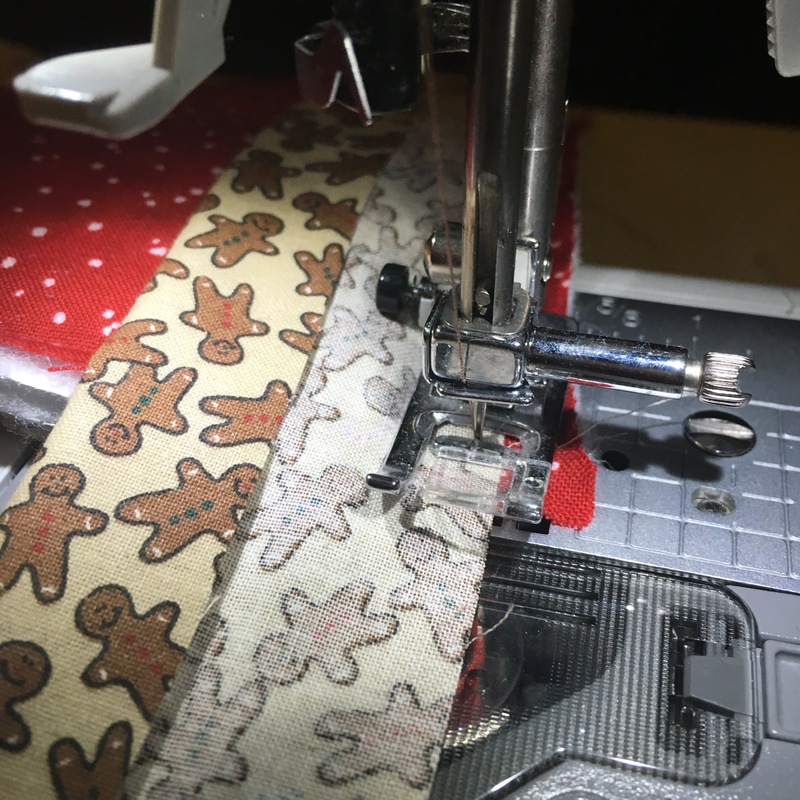 I’m sure by now with the Christmas pajama and DIY koozie tutorials that I have shared over the past couple of weeks that you know that we like to make our own Christmas gifts. 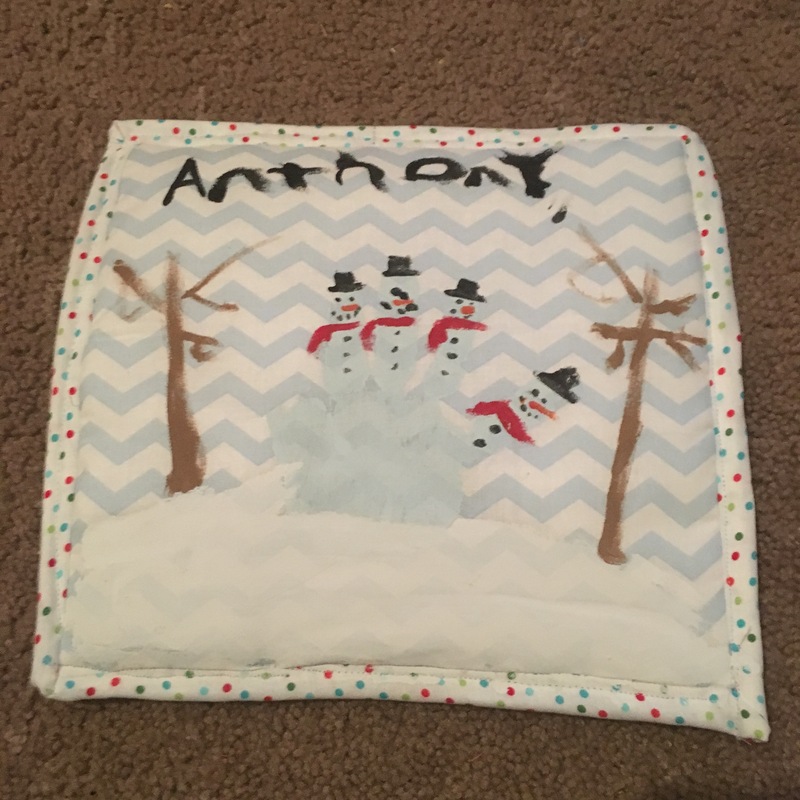 There is just something so special about those handmade handprint gifts that kids bring home from school and I wanted to continue that tradition by making the grandparents – both our parents and grandparents this homemade Easy To Sew Christmas Pot Holders, and I customized with Anthony’s hand and foot prints. This was such a fun project to make with Anthony too. 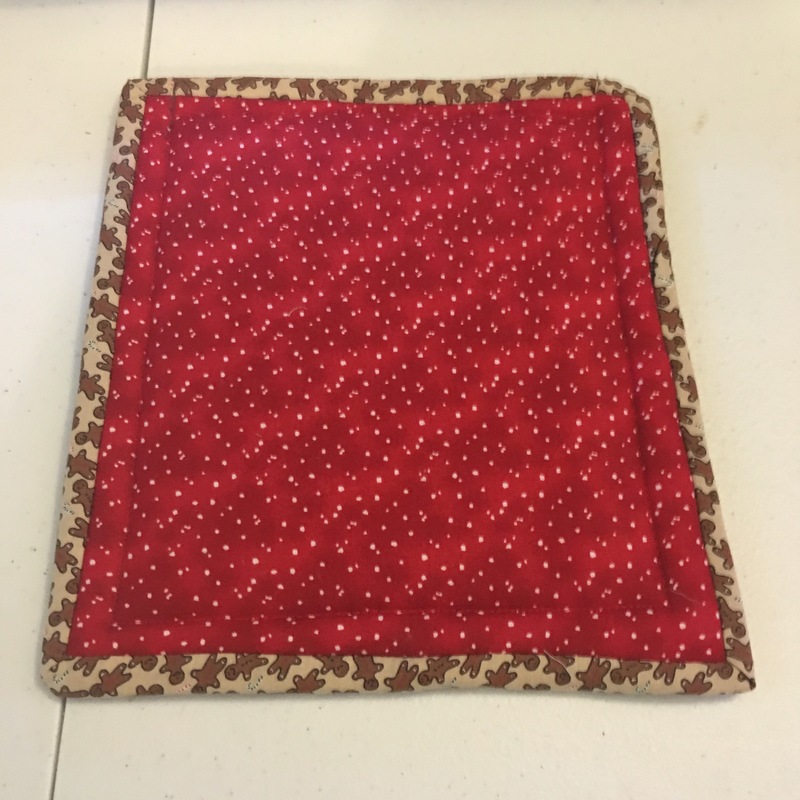 We were able to get the whole family involved making these pot holders, which to me makes it even more special. I sewed the hot pads, DJ helped Anthony place his handprint and Anthony decorated the hot pads. 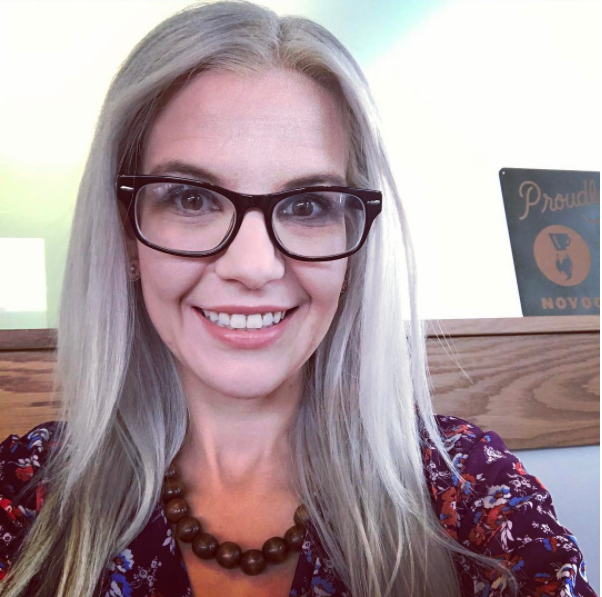 I love making things as a family, and it brought back such great memories of making crafts all day long with my grandmother in her craft room. If you’re a beginner sewer, this is a great project to get started. 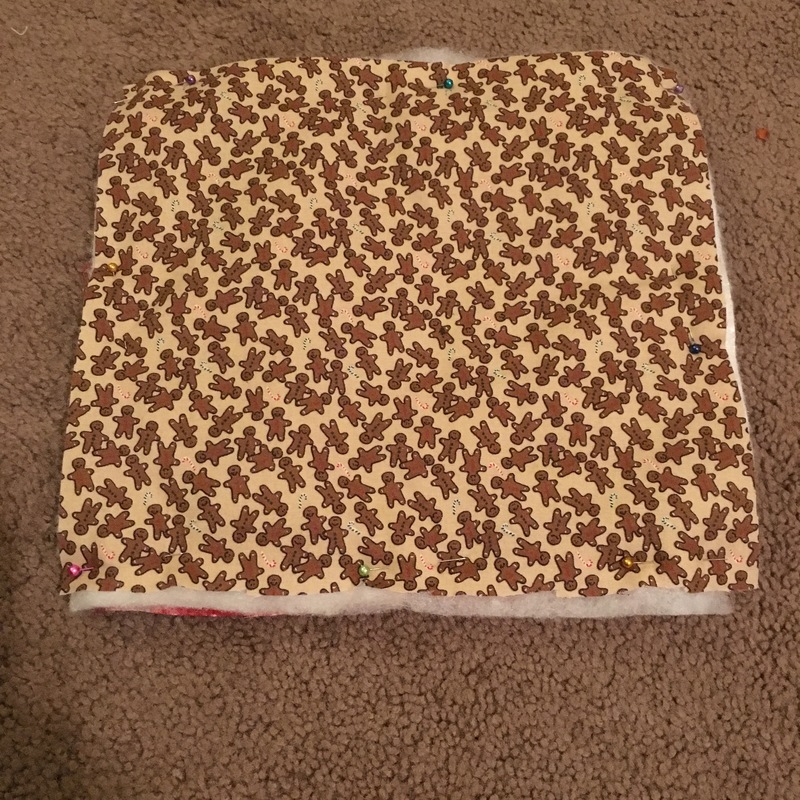 The pot holders come together in about 30-40 minutes for the two INCLUDING the binding. 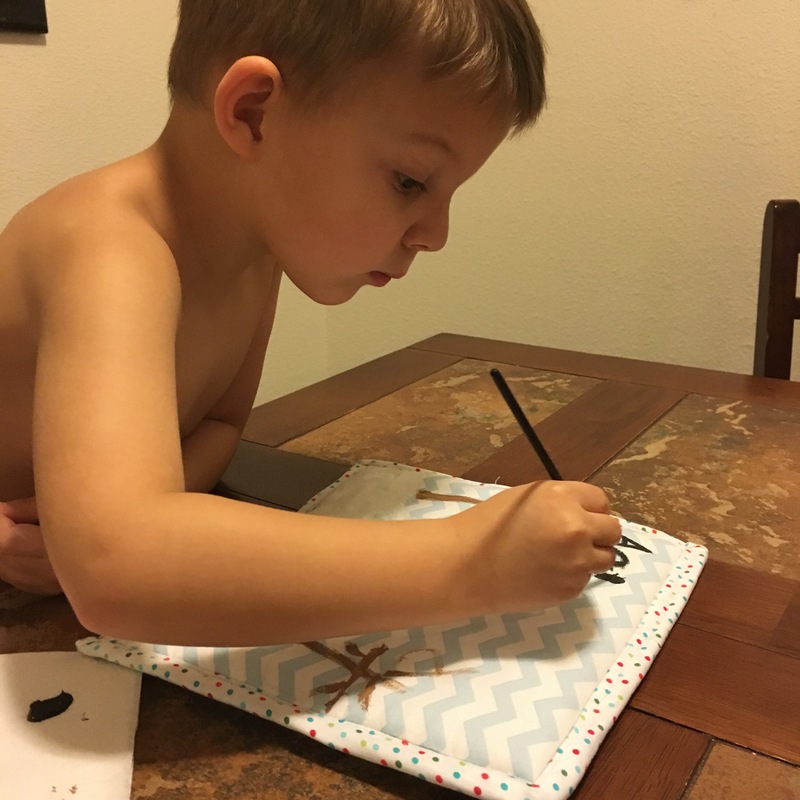 By using some acrylic paint and a little imagination, you can really customize these hot pads for any occasion – Christmas, Thanksgiving or even Mother’s Day. This year we made handprint snowmen, a handprint santa’s face and a footprint Christmas tree. There are so many different Christmas hand and footprint ideas, if you’re having trouble deciding, a quick (yeah right, quick) Pinterest search will help give you some inspiration. I matched my handprint and footprints based on the fabric that I purchased. 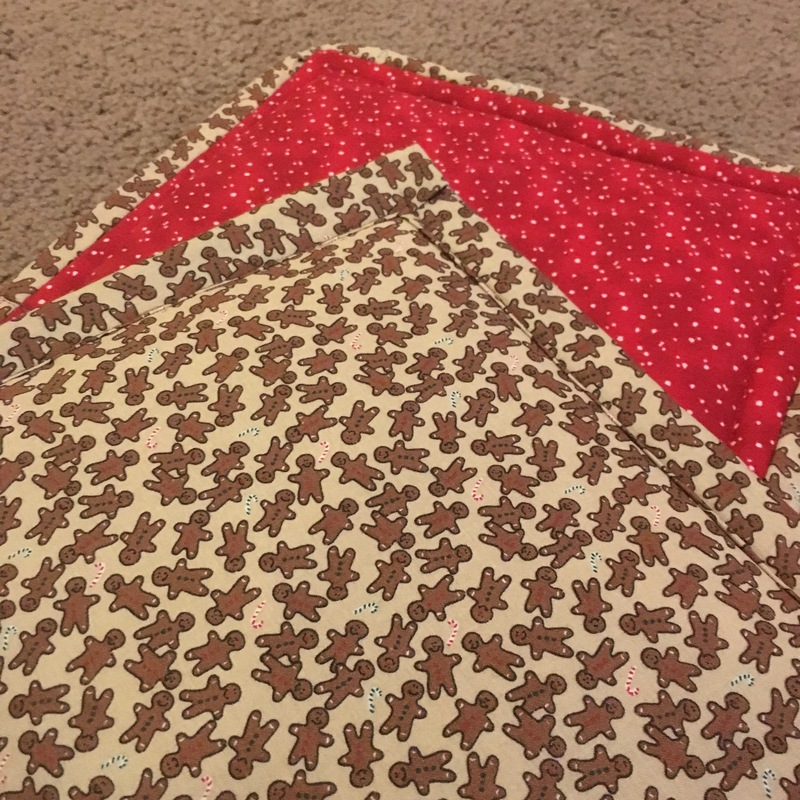 Again, like with the pajamas and koozies, I got my fabric from Etsy from Susie’s Fabrics. She really provided great customer service and beautiful fabrics, and since I can’t drive anymore and I am at home, online ordering works best for me. 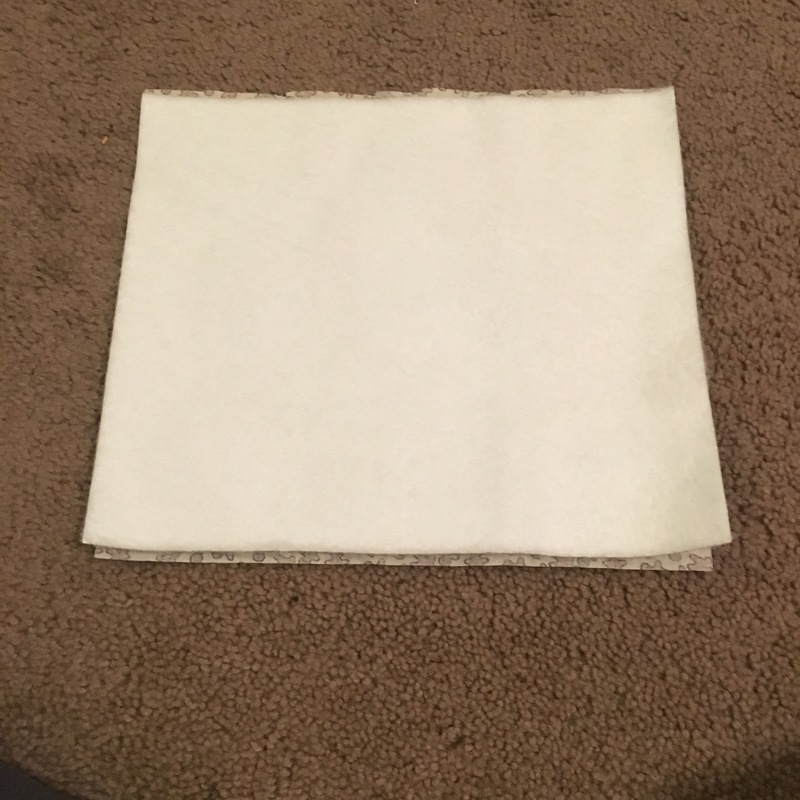 Susie‘s prices are comparable if not even better than the sales at Joann, and she has so many unique fabrics you won’t find in the stores, making your Christmas Pot Holders even more special. 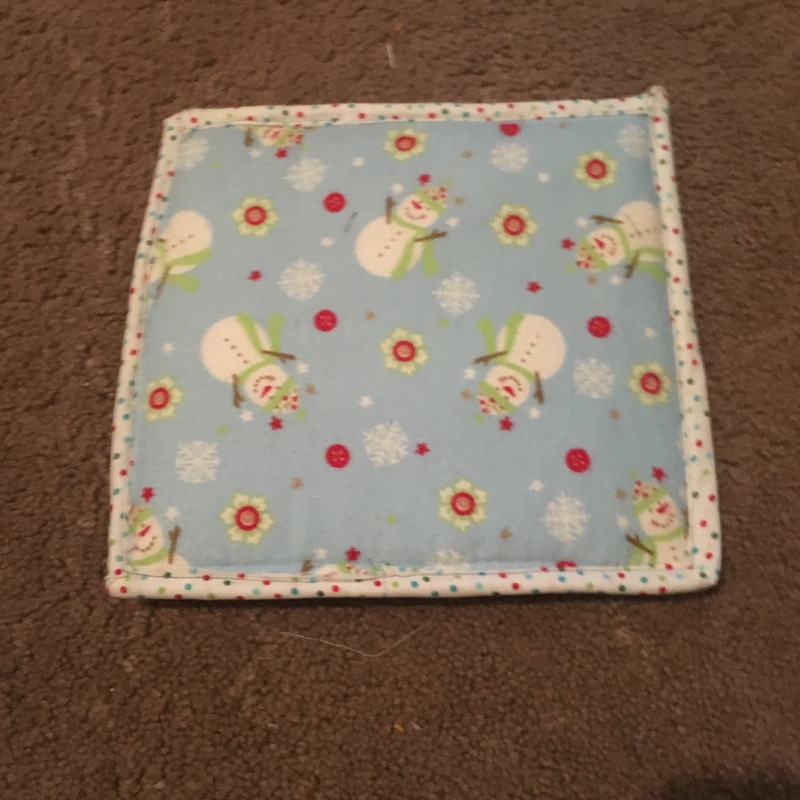 I am excited after the holidays to buy some more fabrics off of Susie and get crafting more pot holders for the spring! Wouldn’t a Mother’s Day handprint flower be cute? * Inslu-Brite is a batting like material that has an insulating layer. 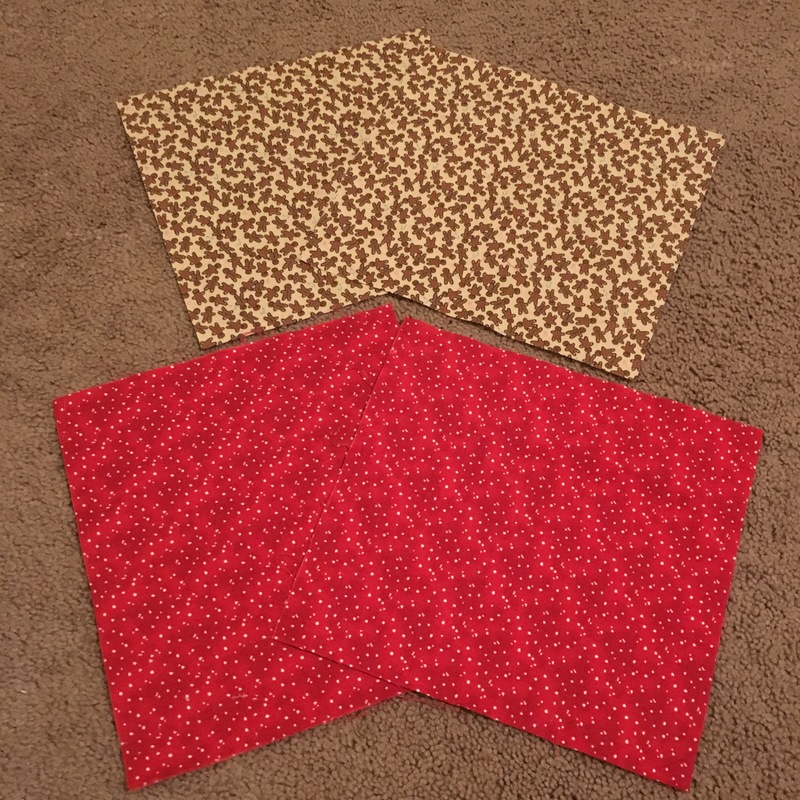 It is made for things like these pot holders, or for oven mitts and even the DIY koozies I made. 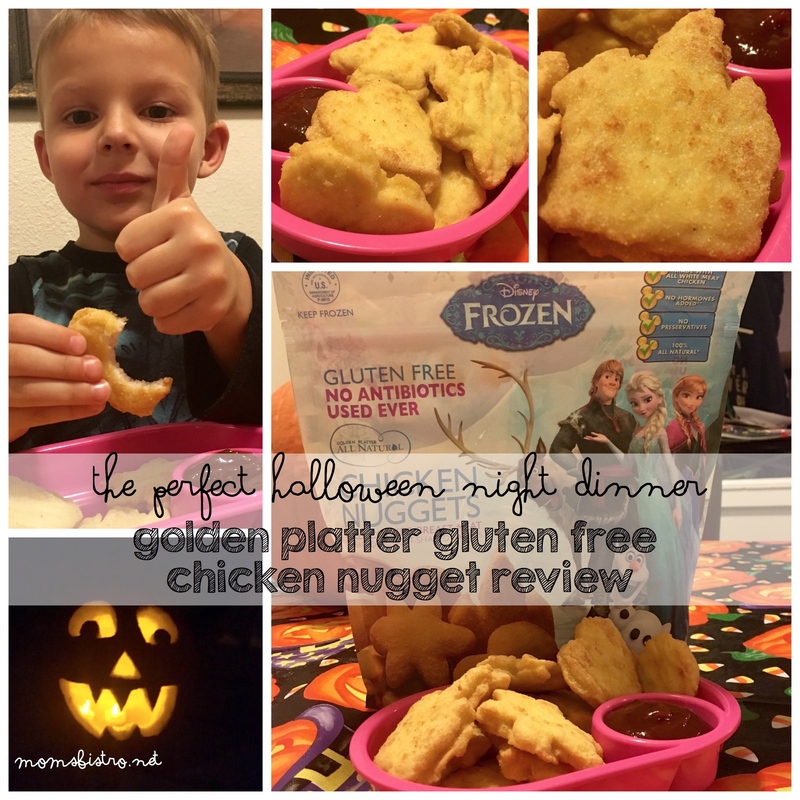 It keeps your table safe and if you’re using it in oven mitts, keeps your hands safe. 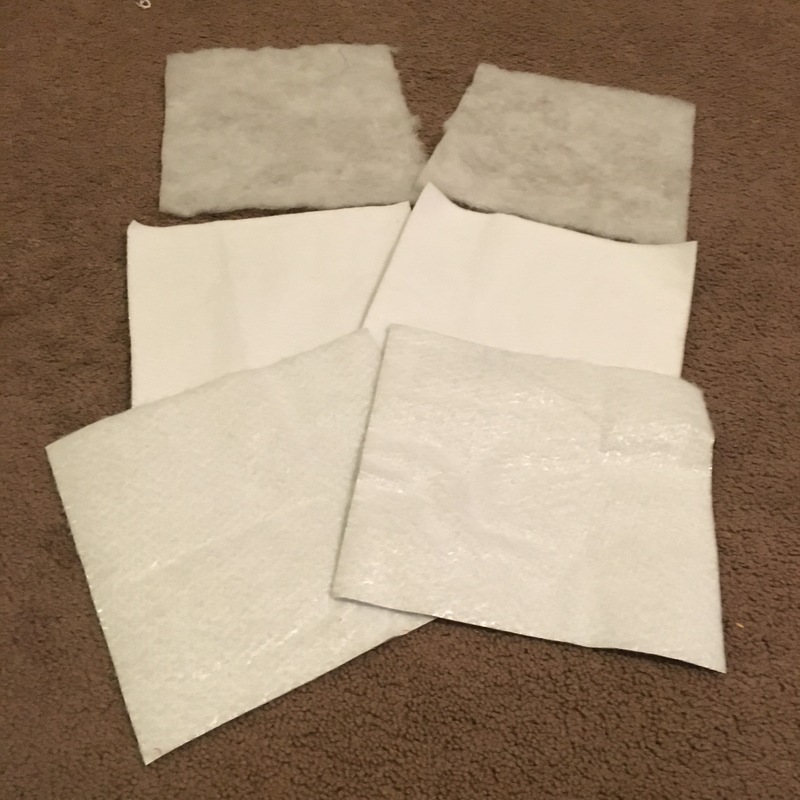 You can get Inslu-Brite anywhere you can get fabric and sewing supplies. Walmart carries it too. 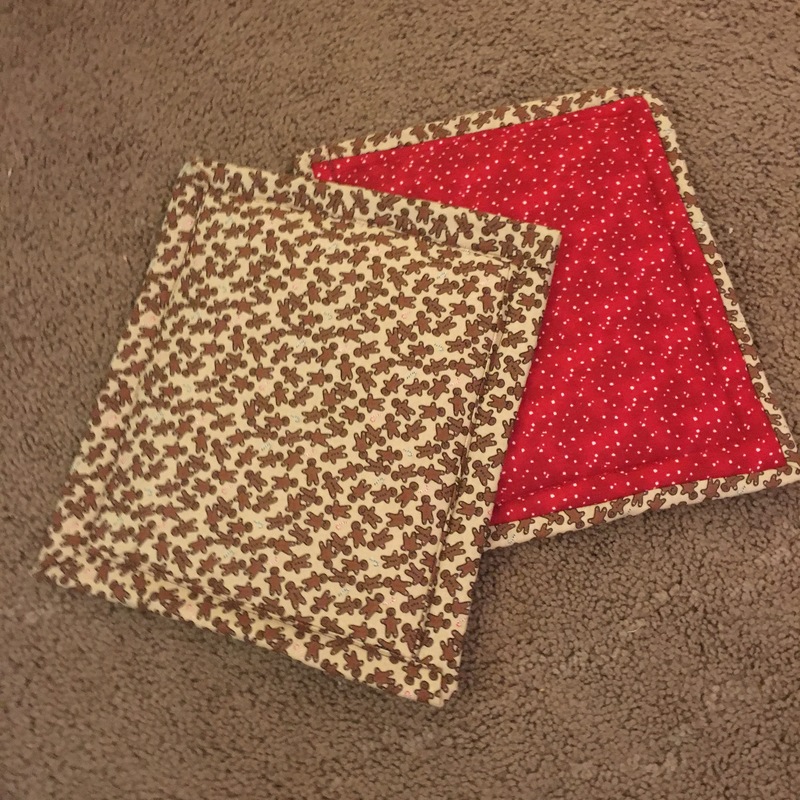 These directions are to make just ONE pot holder, but the fabrics and other materials that you cut will be enough for TWO pot holders. 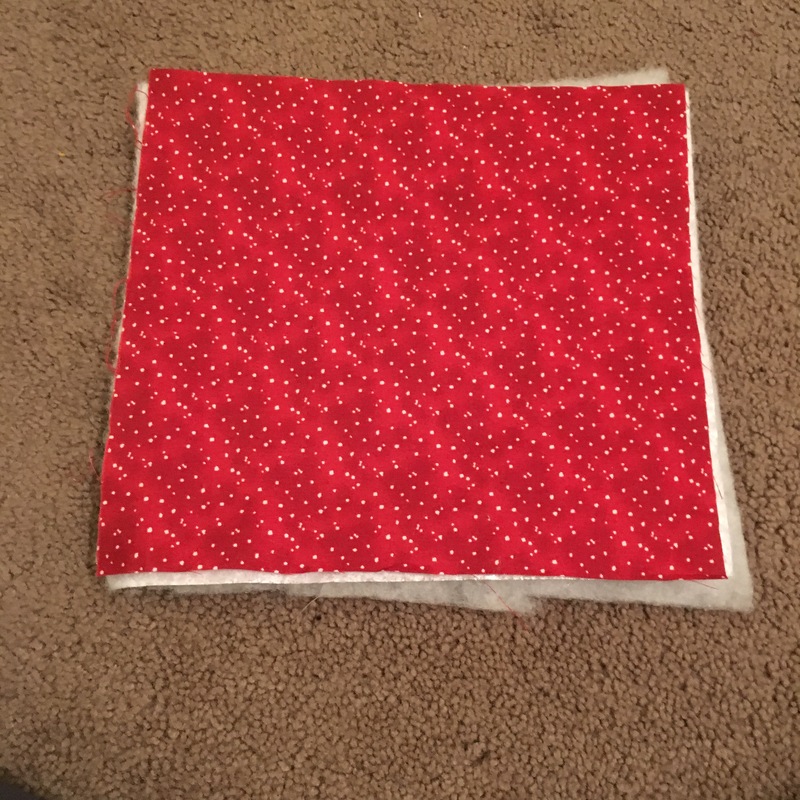 Cut TWO 9″x9″ squares from EACH coordinating fabric. 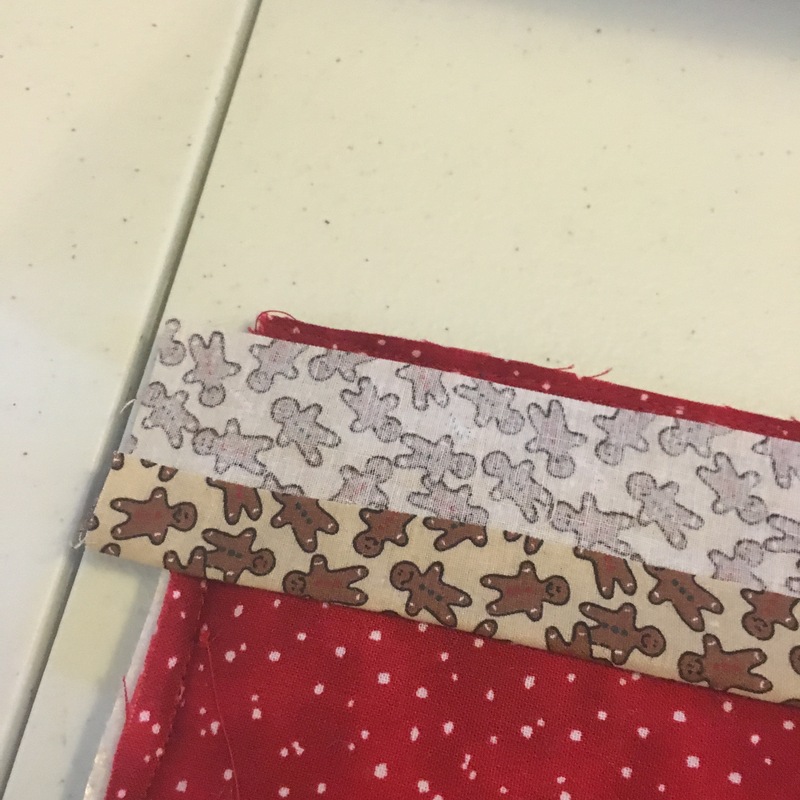 Cut binding fabric in a strip that is 2.5″ x the width of the fabric. 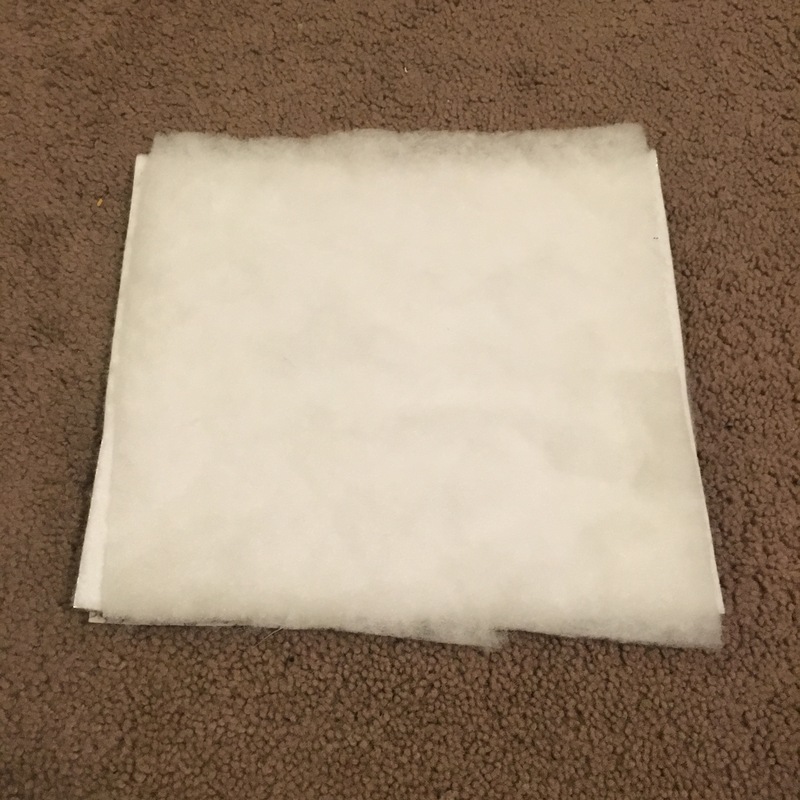 Fold it in half and press to make a long strip that is 1.25″ long. ** To press this seam I like to use my hair straightener. 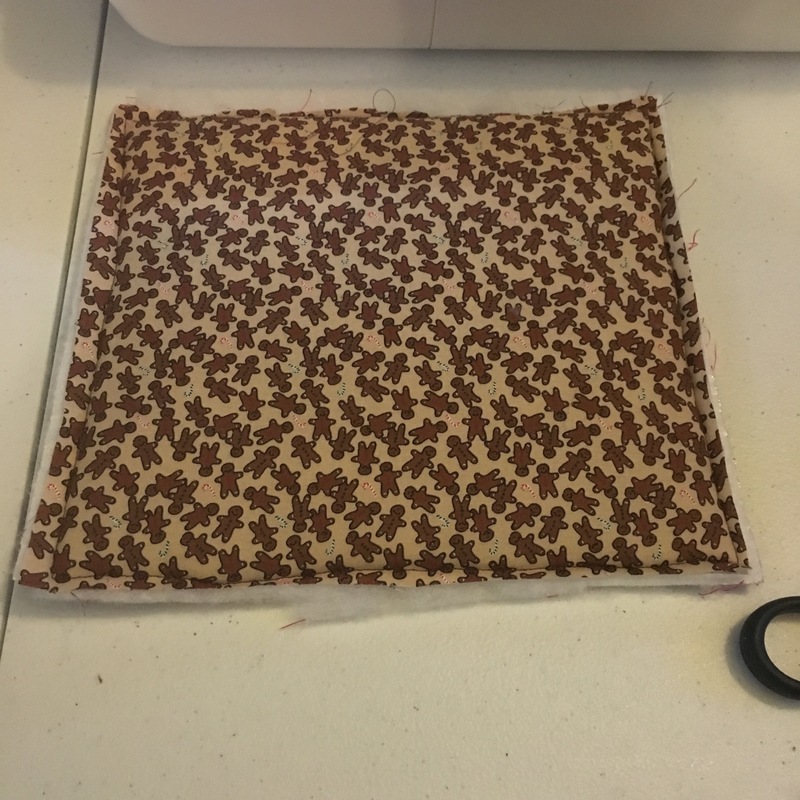 It’s much less involved than bringing out my iron and ironing board, and with these small seams and projects, my hair straightener is just the right size to press these seams. Pin layers together. I’m not really big on pinning, but it makes all the difference in these hot pads, keeping that sandwich together. If you want, you can quilt the layers together by making some straight line quilting or free motion quilting. I skipped this step because we were adding handprints to the pot holders, and I didn’t want the paint to get spotty. 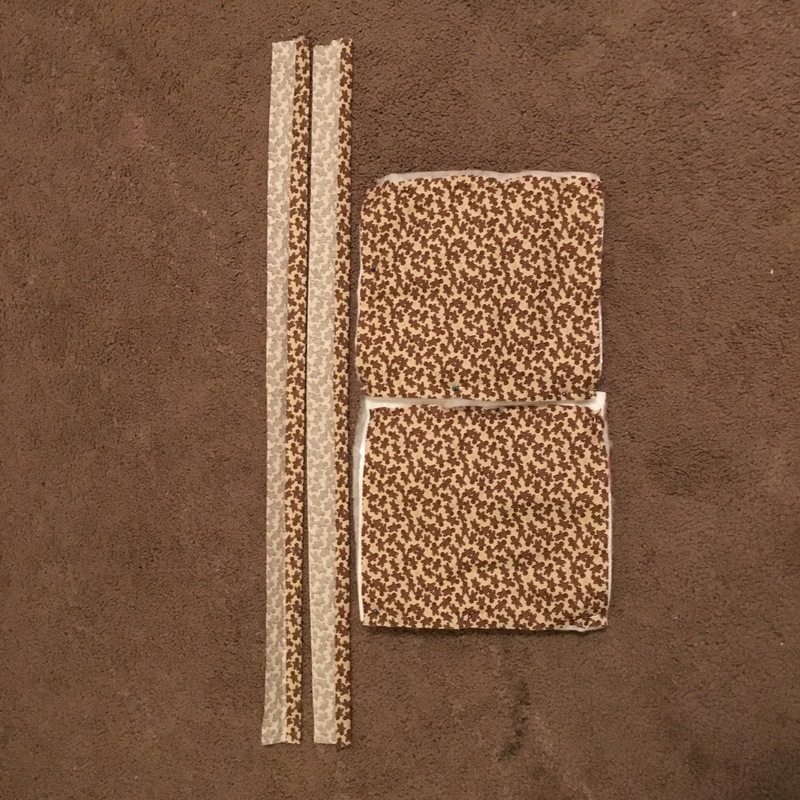 Place the binding strip along one side of the pot holder with the folded edge pointing toward the center of the pot holder and the raw edge of the binding strop matching up with the edge of the pot holder. 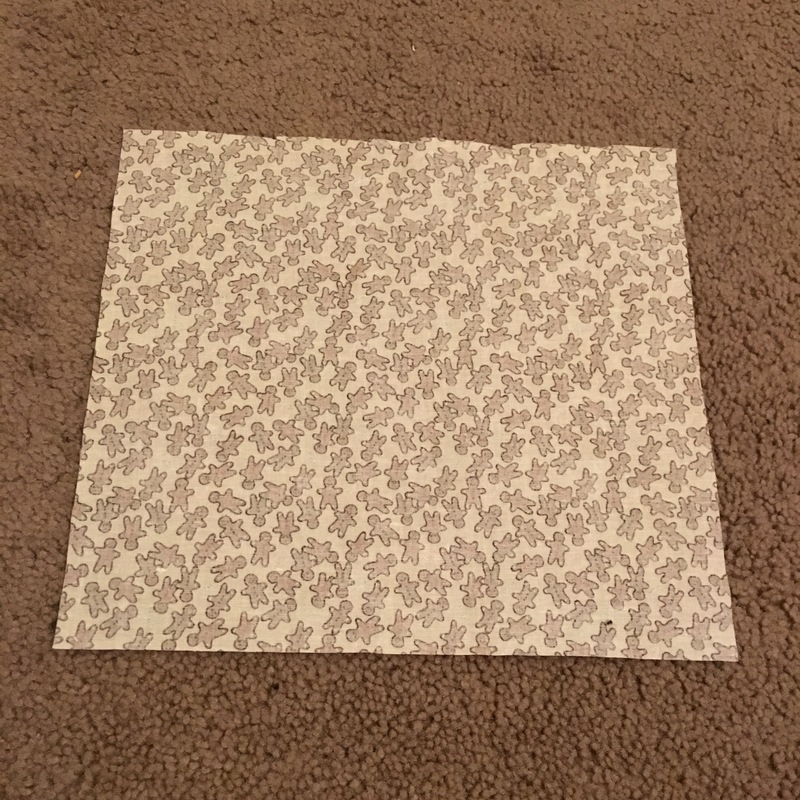 Sew a 1/4″ seam about 1.5″ from a corner of the hot pad. Stop when you’re about 1/4″ from the edge. 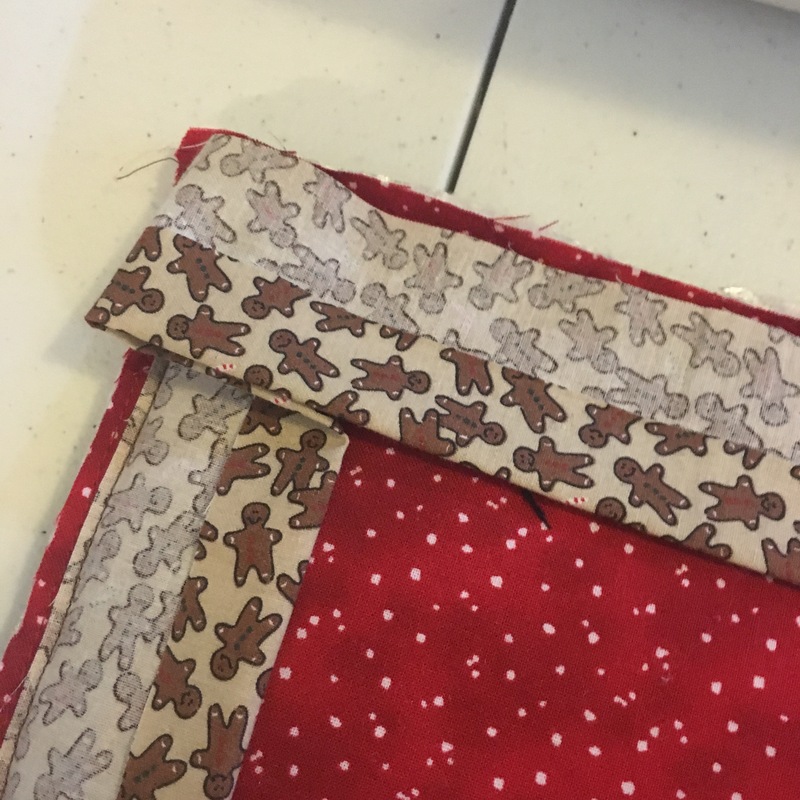 Fold the binding strip to the right so that it is perpendicular to the line you just sewed. Fold it back over itself to the left so that the raw edge of the binding lines up with the raw edge on the next side of your pot holder. 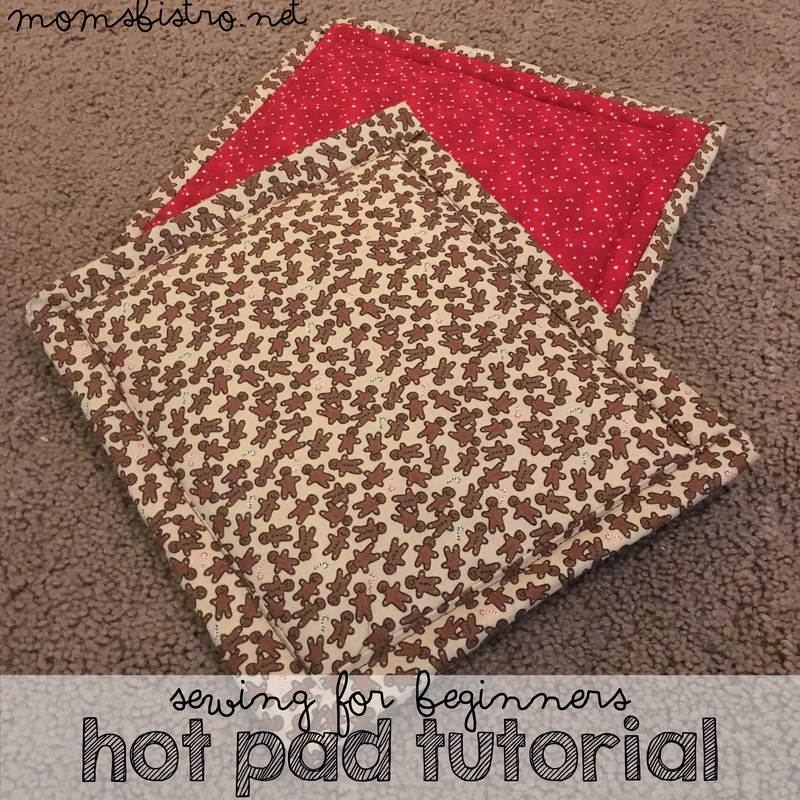 Turn the hot pad 90 degrees and start sewing the next side of your hot pad. Repeat the binding steps all the way around the hot pad. 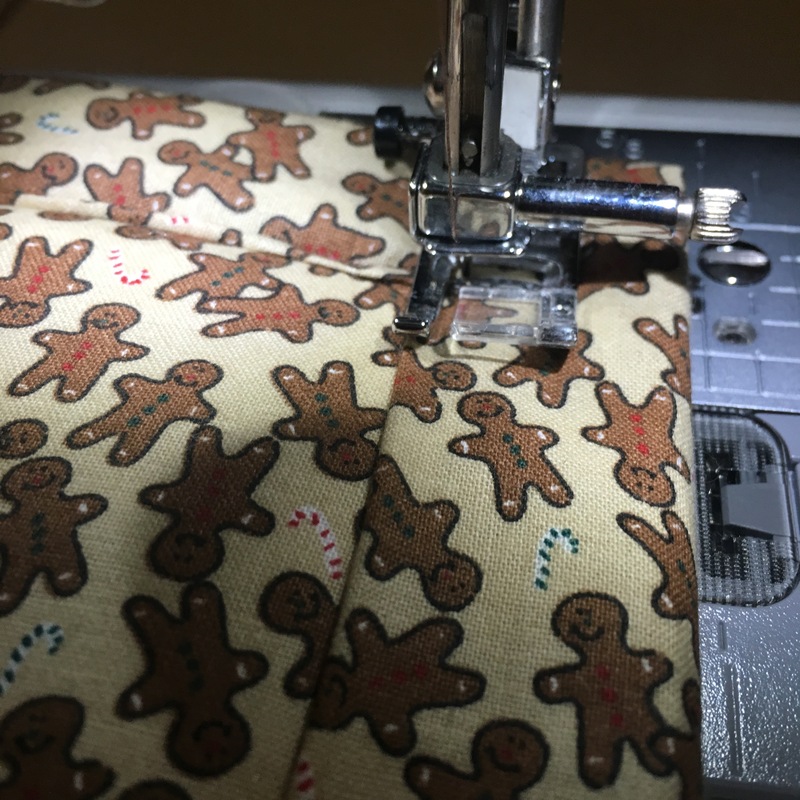 After sewing the last corner, sew down the last side about 1″, remove from machine and trim the excess thread. On the last side of your pot holder you should have a side with no binding yet. Join the two ends of the binding where they meet up and pin in place and sew across the two binding ends to join them. 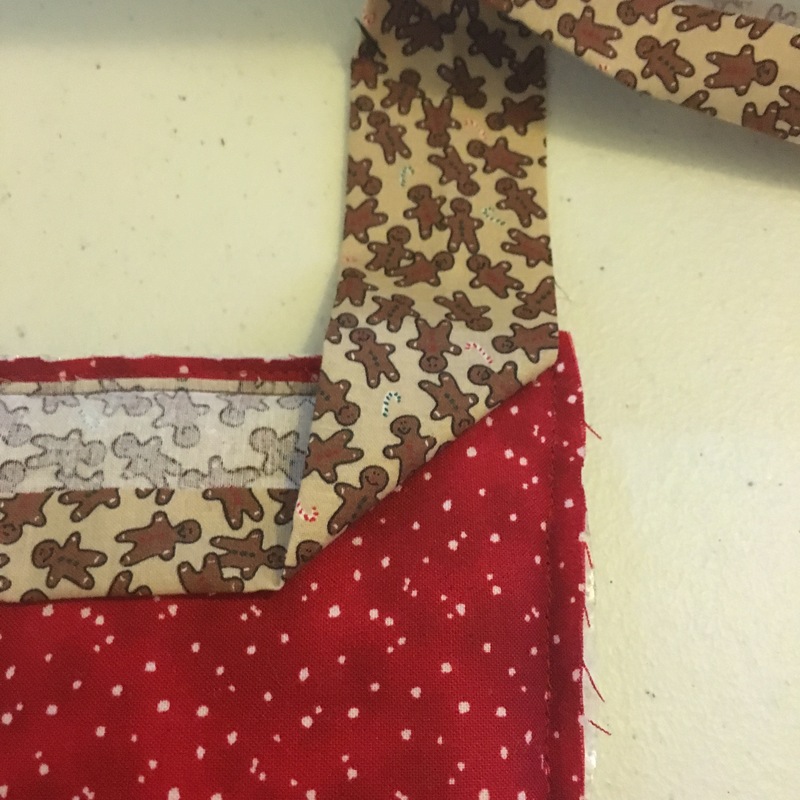 Trim off excess binding and sew the seam you just created in place. 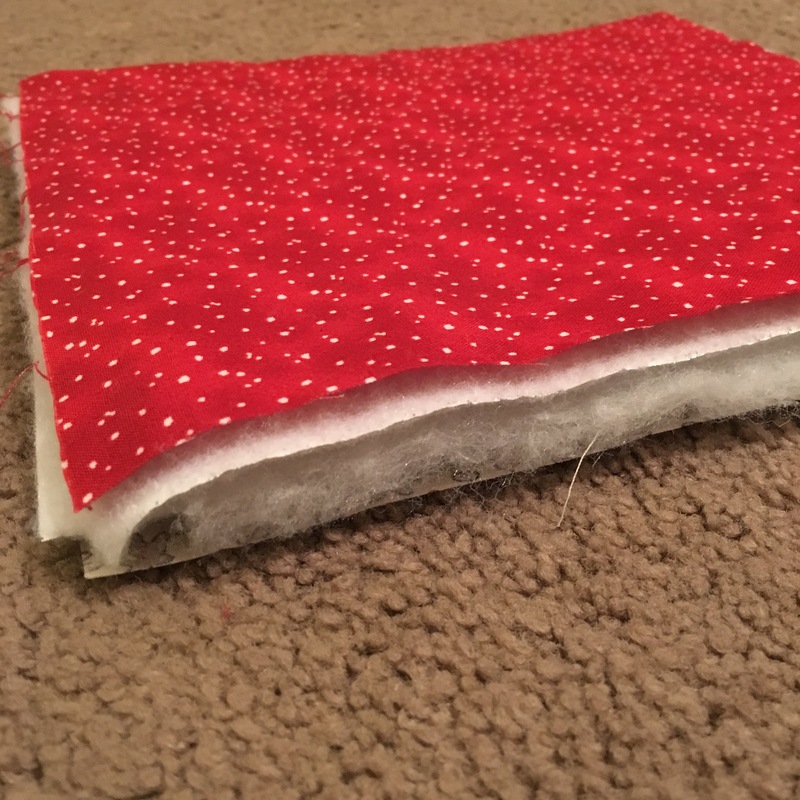 Beginning in the middle of one side of the hot pad (I usually like to do this where the seam I just created in the binding above), flip the binding over so that it covers the stitching line you made when making the hot pad sandwich. 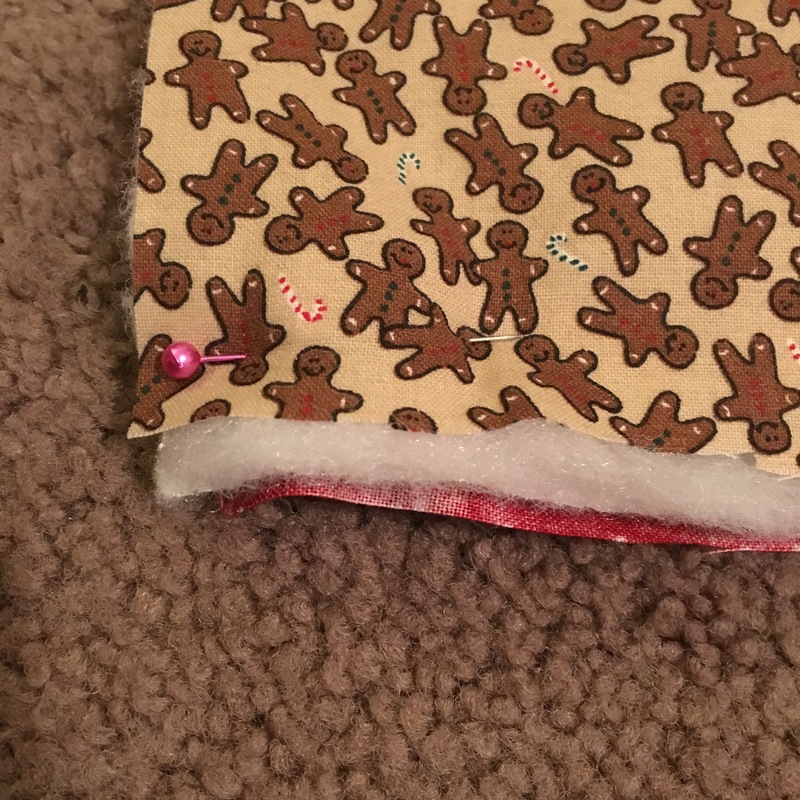 Pin binding in place. 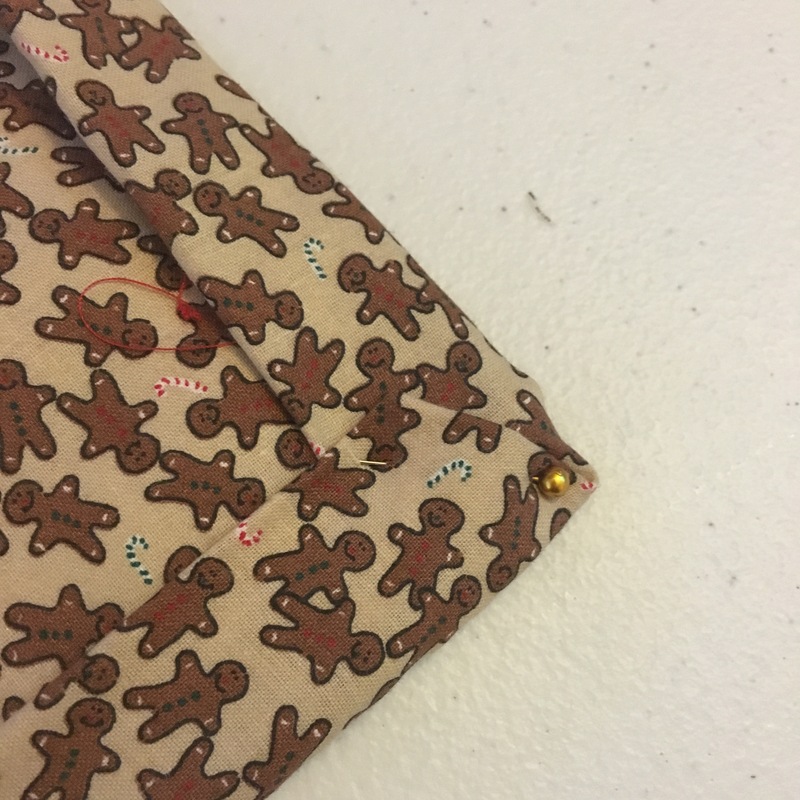 Sew on the opposite side you just sewed. When you get the the corner, stop about 1.5″ from the corner. Leaving the needle and presser foot down fold the corner so that you can see the underside and fold binding down. You’re making mitered corners. 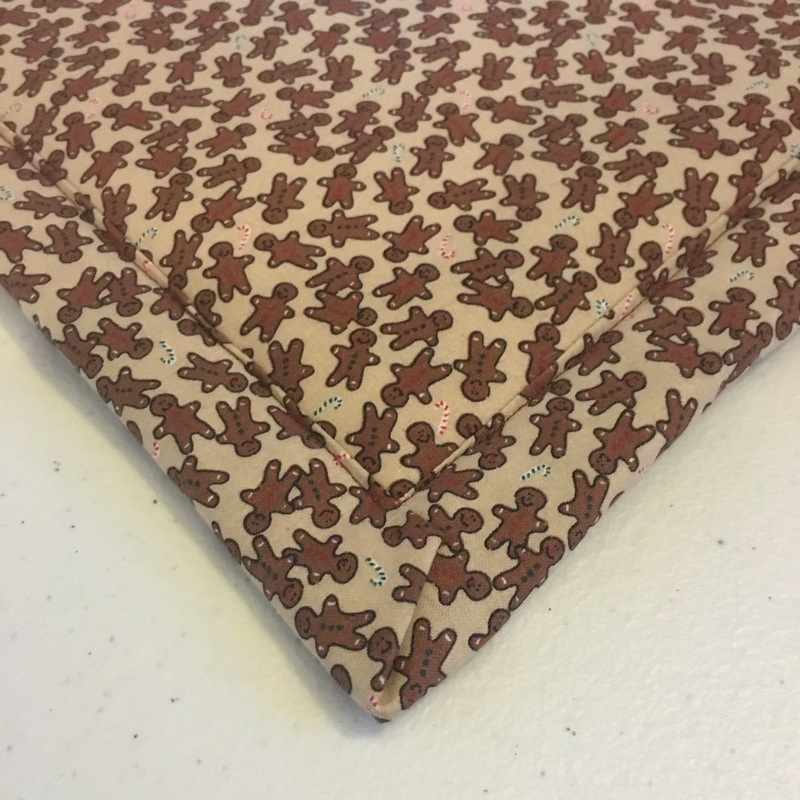 Fold over the side and sew down. Pivot and continue sewing down the next edge of the pot holder. 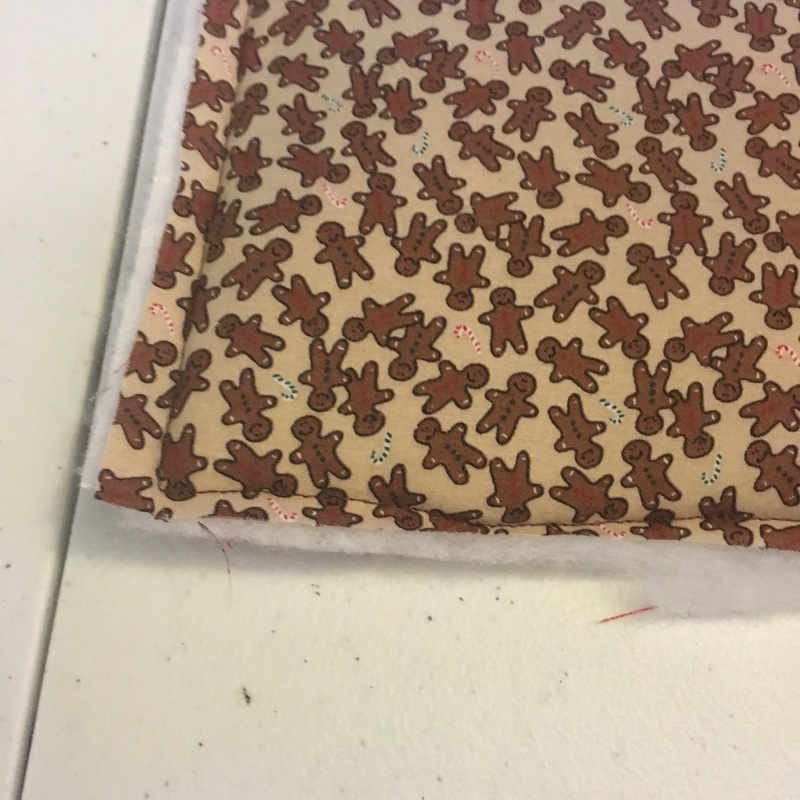 Continue sewing all the way around, repeating the steps above until the binding is sewn. Trim excess threads and press with your iron or hair straightener. You’re pot holder is done! 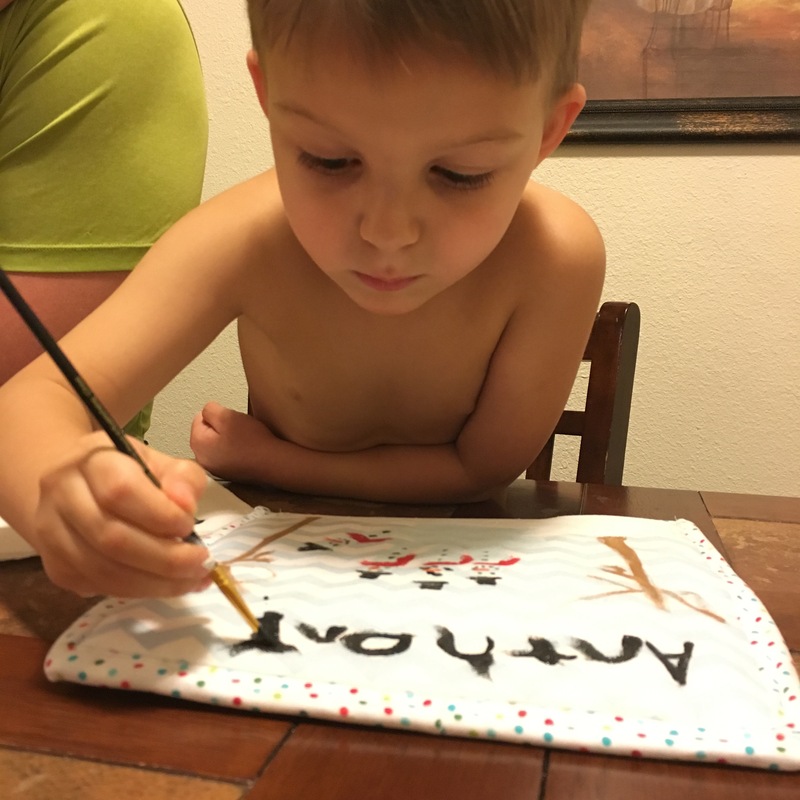 If you want to make your pot holder even more special, paint your child’s hand with acrylic paint based on the hand or footprint design you chose and carefully place handprint down on fabric. 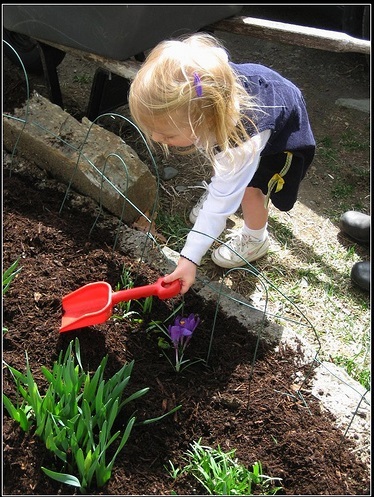 Once the handprint is dry, have your child decorate and customize the handprint. I even had Anthony write his name on one of the hot pads. Let paint dry, and you’re done! 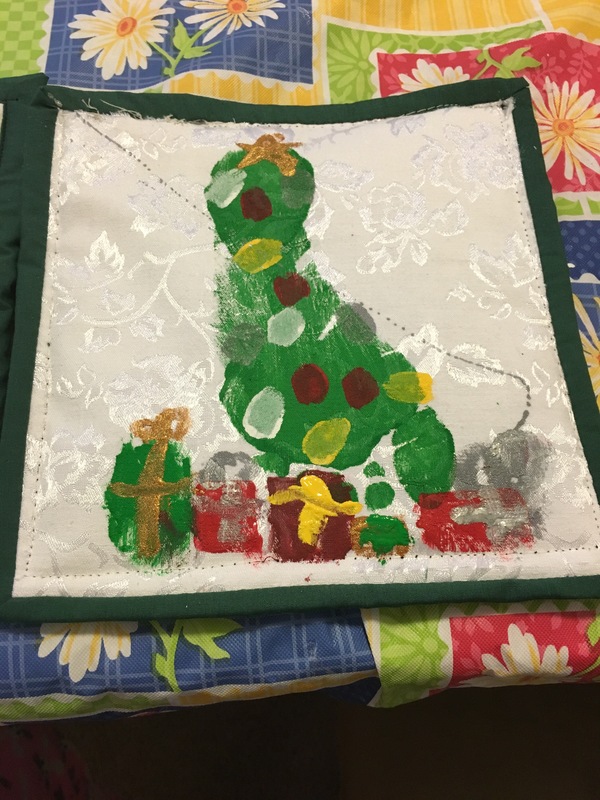 Give these homemade Christmas Pot Holders to grandparents and watch their eyes fill with tears of joy and they marvel in your hard work! Good luck, and share your Christmas Pot Holders with Hand and Footprints in the comments below! 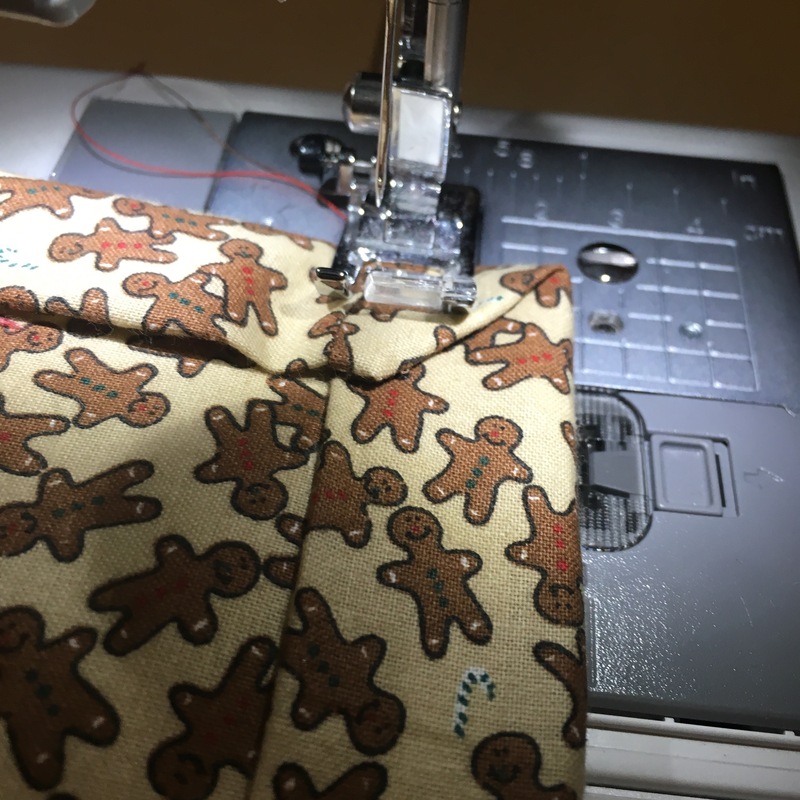 For other great DIY Christmas Gifts click the links below and make your own matching Pajama Pants for your entire family or even a Koozie to keep their beer, soda and even a sippy cup cold!